Honda didn’t really reveal anything shocking at its global motorsports press conference this week, but it did manage to infuse a bit of irony when it parked the new Acura NSX concept (wearing Honda emblems, of course) next to what could have been the next Acura NSX. Long before the current NSX program debuted, Honda envisioned the second-generation Acura NSX as a front-engined gran turismo. 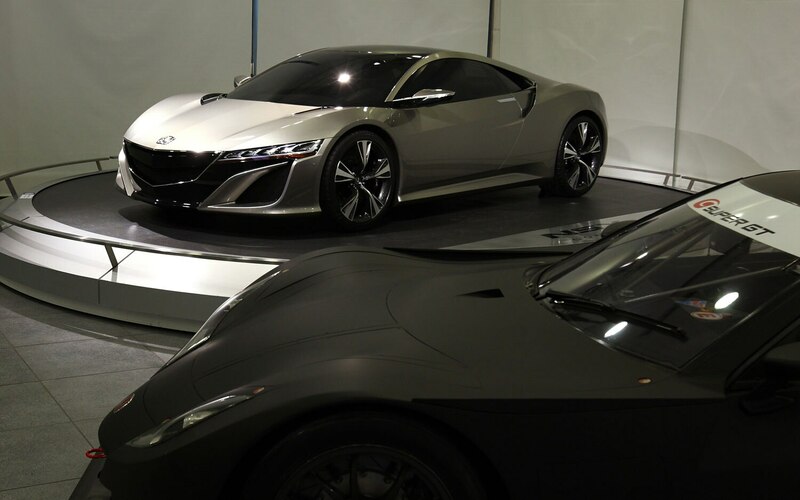 The Acura Advanced Sports Coupe concept, which made its North American debut at the 2007 Detroit auto show, reportedly gave a good look at what Honda had planned for the NSX’s successor, including a ten-cylinder engine and a variation of its torque-shifting Super Handling-AWD (SH-AWD) system. As the story goes, those dreams never exactly became reality. Honda shelved the NSX program after the global economic kerfuffle, but the progress made to that point wasn’t for naught. 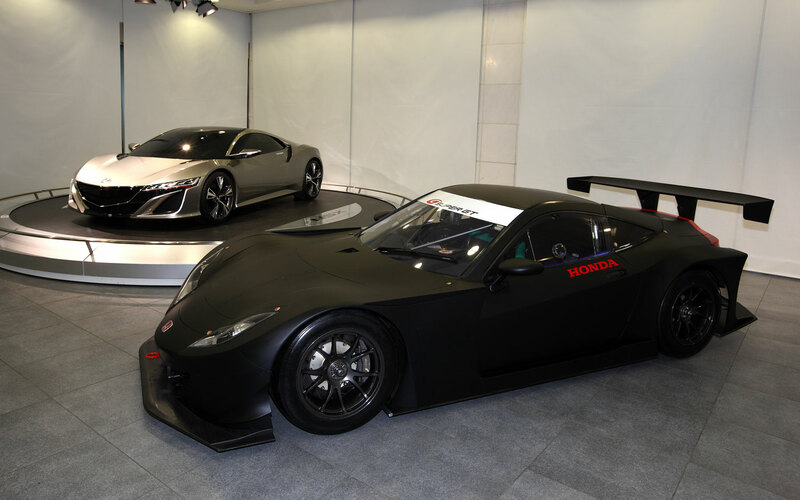 Honda’s motorsports wing adapted the design into the HSV-010 GT Super GT car – which you see here in black, alongside the new 2015 NSX concept. 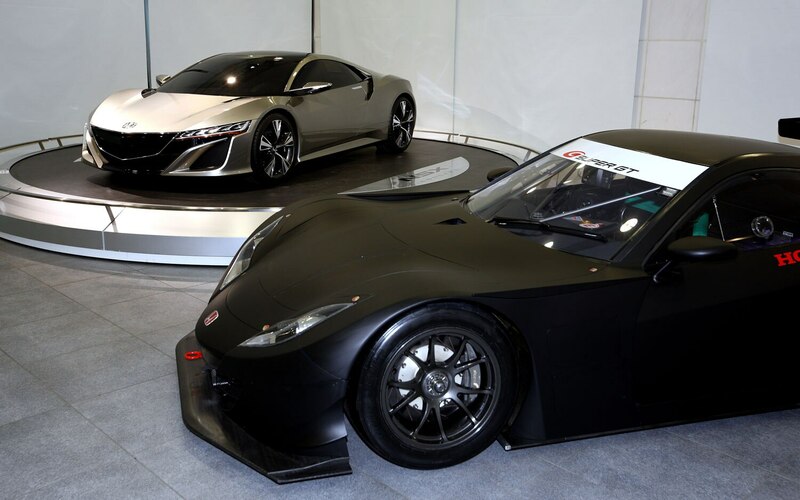 Honda has hinted the new NSX could spawn a race variant of its own, but until then, the HSV-010 GT continues to compete in Japan’s Super GT GT500 series. 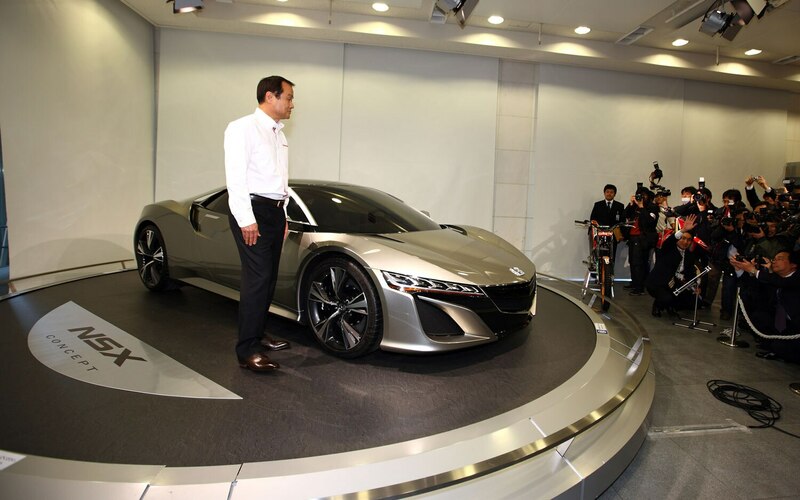 Honda’s fielding five HSV-010 GT cars this year, all of which receive mild aerodynamic revisions for the 2012 season.